Getting rid of stubborn tan becomes easy! Summer is the season to flaunt your cute mini floral dresses, enjoy the beaches and wear cool shades. After all those stylish endeavors, we are left with nothing but the tan! 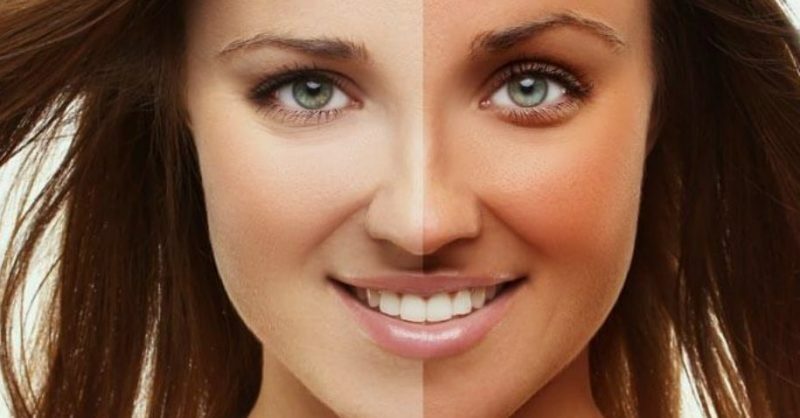 No matter how many times we apply sunscreen, it can never save our skin from darkening. But did you know that it is possible to remove tan can be found in your home that too in your kitchen? Yes, you heard it right! So here’s presenting the magical products to remove tan sitting at home without wasting money. The citric fruit should be declared as the beauty goddess as it has so many benefits including anti-bacterial properties which can make the skin healthy. Just squeeze the lemon on the affected area, leave it to dry. After 5 minutes, wash it off with warm water. Tomatoes are, again a fruit that has many healing properties. Apply tomato pulp with a cotton ball on tanned skin and let it dry. Wash after few minutes and see the magic instantly. Even eating a tomato or drinking tomato juice can give positive results. Aloe vera plant can be easily grown in your backyard. This gel can be applied directly to the skin and it can solve almost all the skin related problems. You can even buy the aloe vera gel at any drug store. Its anti-inflammatory property helps our skin to heal naturally. Potato is rich in vitamin C and it soothes the skin while also working as a natural bleach. Peel off the potato and rub it raw on the skin. After it dries, wash it off with cold water. For best results, add lemon juice to it before applying it. It not only cools your body but is also good for skin. Apply it using a cotton puff and it works as a natural moisturizer. It repairs your skin by removing tan.